Life insurance is one of those things that a lot of people need but they don't generally want to think about. Having that safety net is important for a lot of people, though, many of whom would be dependent on that money if something were to happen to their family breadwinner. Unfortunately, the way the industry works now is not in the best interest of the average person, thanks to the incentives for agents to sell more expensive plans for higher comissions. "Life insurance is an incredibly important product for protecting people who are vulnerable, but it’s executed very poorly by the traditional industry, which sells almost all life insurance today," Peter Colis, CEO and co-founder of Ethos, told me. Ethos is a company that uses technology to streamline the process of buying life insurance. Right now, he said, because life insurance is sold by agents, they have an incentive to upsell clients to permanent life insurance, rather than term life insurance, which is only covers a fixed amount of time, because the permanent plans increase their commissions by 20x. "It’s this bait and switch offer. You go through this application process with a lot of paper forms and medical exams and blood tests and urine tests. At the end of it, you get this jacked up price, which you’ll most likely lapse because it’s so expensive, and you’ll never really hear from your insurance company again. They just collect your annual premiums," said Colis. "Ethos takes a very different approach. 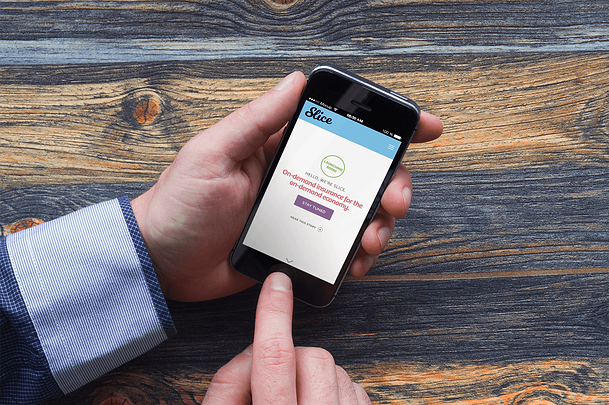 We said, ‘We can use technology to make it instant and simple and accessible to the average family.’ So you go to GetEthos.com, you fill out an application and it takes 10 minutes and you’re either instantly approved on the spot, or you’re approved within a couple of days. 99 percent of our applications have no medical exam, no blood test, no urine test. And the pricing is quite competitive." This new approach is resonating with some big investors; on Tuesday, Ethos revealed that it has raised a Series B financing of $35 million led by Accel, along with Google Ventures and previous investors Sequoia Capital and Arrive, a subsidiary of Roc Nation also participating. The round also included a debt facility from Silicon Valley Bank. This round brings its total capital raised since it’s launch in June to more than $46 million. 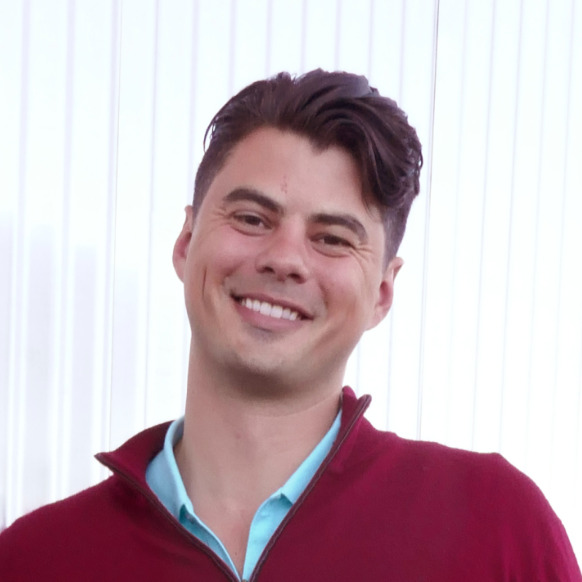 In addition to the funding, it was also revealed that Nate Niparko, partner at Accel, will join the Ethos board of directors and that Tyson Clark, General Partner at GV, will become an advisor to the company’s board. "Both of them have excellent experience in helping build enduring businesses, as well as their firms. These firms are steeped in tribal knowledge of how to build enduring businesses. My co-founder and I don’t pretend to have all the answers, so we love having thought partners who can think through all the various aspects and all the various stages as we continue to grow," said Colis. "As the business changes now, it becomes a different place when you continuously double in size, so we love the thoughtfulness and wisdom that comes with people who have been involves with companies from start to finish multiple times." 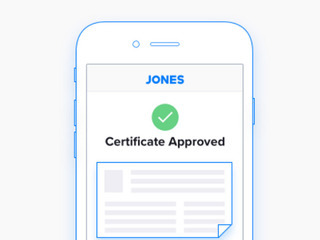 Ethos is able to algorithmically underwrite a person's life expectancy based on supplementary data, allowing users to file for life insurance claims online, and to get a response in minutes. This puts life insurance on the same playing field as other parts of the insurance industry that already use similar methods. "If you look at auto insurance underwriting, for instance, it’s really sophisticated; there are all sorts of data that they use as proxies for how likely you are to be a good driver or how likely you are to have an accident. Life insurance isn’t like that, so Ethos is one of the first who’s using things like pharmaceutical records, credit related information, motor vehicle records, etc to price like expectancy risk and to be able to offer a $1 million policy instantly online," Colis explained. Even though type of technology is not widely used in the life insurance industry right now, Colis doesn't consider the company's competition to be other companies in the space. Instead, because the company generally targets people who otherwise wouldn't be looking to buy life insurance, what Ethos is going up against is the difficulty that people have had buying it in the past. "We usually compete with inertia and helping that customer and just telling the customer, ‘Do you think think life insurance is the right option for you?’ and, ‘Do you want to get it done in 10 minutes?’ Because it’s not fun to think about for the average customer; you have to think about your mortality, you have to fill out this form which asks some pretty personal questions, and so we try to make that as simple and easy as possible," said Colis. "Our competition isn’t really as much the industry as it is people’s general inertia. There’s saying in industry, like an old adage, that ‘Life insurance is sold, not bought,’ implying that people can’t wrap their head around the problem themselves and they need an agent to sell it to them. And what we’re finding is that’s not true. We’ve designed a very simple product and a process and gotten very smart about how we go after and treat customers and, as a result, people want to buy the product without us selling it to them." Ethos is live in 49 states and has seen its revenue, customers and applications grow by more than 400 percent in the past four months. A big part of what Ethos does, in addition to simplifying the life insurance process, is being ethical about how people are sold to. The company says it does not upsell, or convince people to buy plans they cannot afford. That allows the company to to sell to people who need life insurance but would likely be ignored by regular life insurance agents who would rather go after a wealthier customer who can give them a better commission. "If you’re a life insurance agent your cost is your time, so you’d rather spend your time selling a permanent life insurance policy with a massive commission to somebody who can afford it, which is someone who’s wealthier. The issue with that is, if all the agents are focused on that, the average American family is often the most vulnerable to losing a breadwinner because they have the least savings," Colis explained. "So, through automation, we have very low cost per customer, so we’re able to address more of the mass market because it costs us very little to process a policy. So we mostly target people who not looking for life insurance; they’re good candidates for it, maybe they had a kid a few years ago or they have some sort of responsibility they need to solve for, but we hope that through our work we’re enlarging the amount of families who are protected, rather than just taking business from agents." 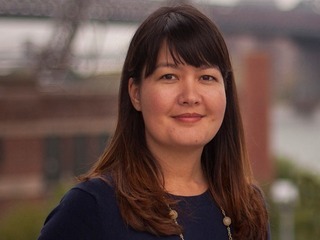 The company will use its new funding primarily to grow its 30 person team to 50 or 60 in the next few months, specifically hiring in engineering, product and marketing. "It’s all about accelerating growth for us at this stage, and that’s a mix of hiring and deploying into growth spend," Colis told me. 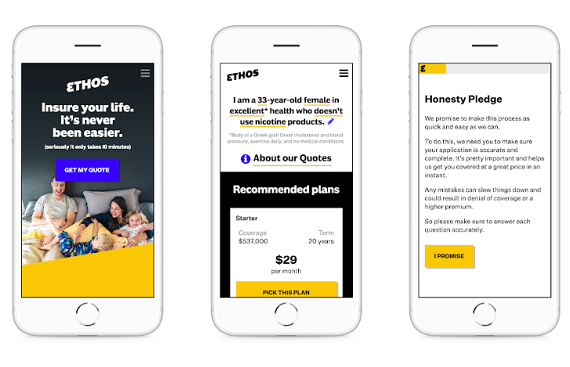 There has been a lot of interest in the insurtech space, lately, with more than $500 million in investments in the second quarter alone, and Ethos wants to be the "next great life insurance company." "We love the interest going into the space, and I think there a couple of these companies that end up being the next great companies. Great life insurance company hasn’t been built in 150 years. MetLife, Northwestern Mutual, MassMutual, these companies are all over 100 years old. So I think ethos is in a very solid position to grow quickly and become a market leader for the next generation. There a lot of structural advantages that we have," Colis said. "We are helping hundreds of thousands of customers protect their families very quickly, with great ease, and, when the accidents happen, their families are truly properly protected. There’s trust built in Ethos as your family’s concierge and also guardian. We really want to communicate to families that we truly care about and their best interest is in our hearts." Ethos is a life insurance company that creates modern, ethical life insurance to protect the life of their clients. Peter Colis is the CEO and co-founder of Ethos, a new kind of digital life insurance company dedicated to making simple and ethical life insurance for families. Peter has an M.B.A from Stanford Business School.